Auberge is a restaurant with accommodation facilities. 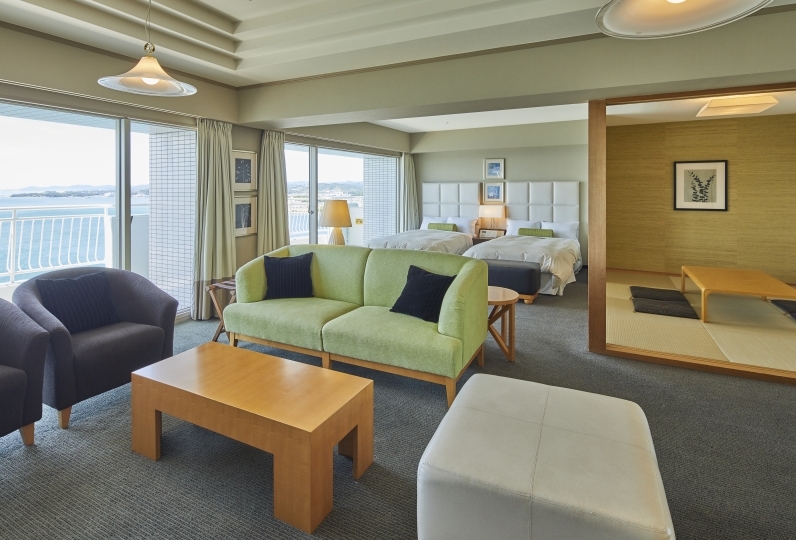 As the name suggests, the hotel and restaurant put an emphasis on Japanese hospitality. Local food Ingredients and ingredients from all over the world are used luxuriously to make great cuisine that chef are proud of . 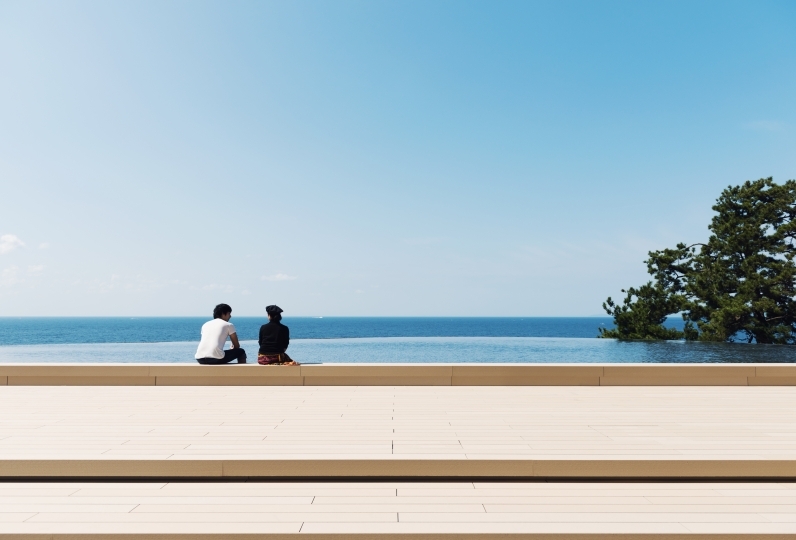 At the hotel located on a hill, you could enjoy the view of Shirahama. It  gives you an opportunity to relax from the hustle and bustle of the city. 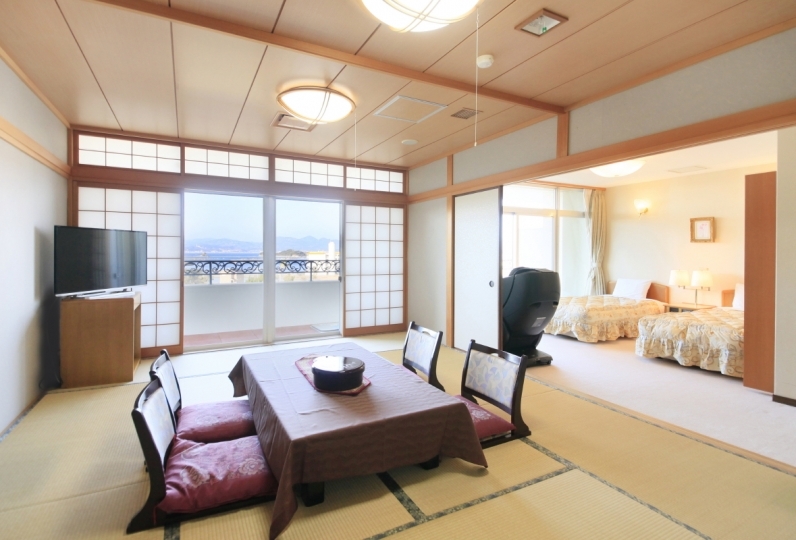 We have introduced "Air Weave" to Japanese and Western-style rooms. Please enjoy "Auberge proud meal" and "Comfortable sleep." 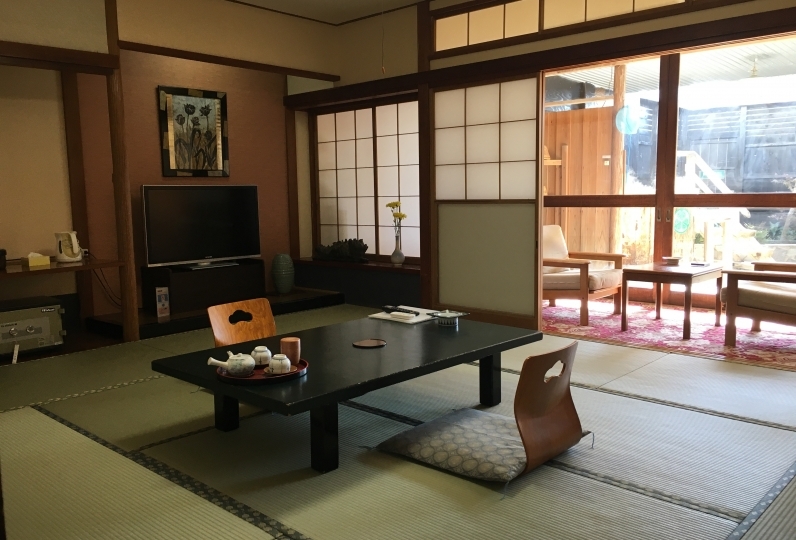 A special introduction plan is available for stays from May 6 to July 19. It took a while to find a hotel, but the staff were very kind and comfortable. Although the food is delicious, it is usually a small meal, but we all finished eating. 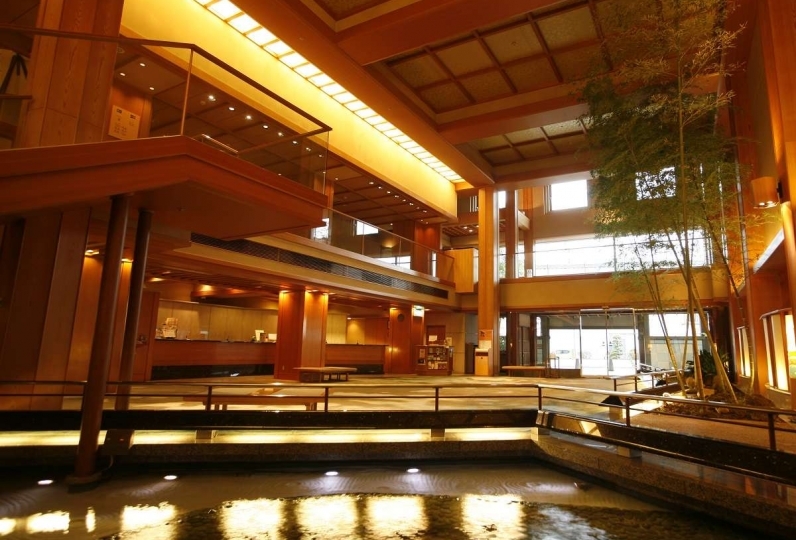 It was a hotel recommended by my son who likes to travel, but it was really fun. Thank you. The window was big and the room was large and it was good. It is equipped with air purifier, humidifier, facial equipment, and it was good that it could be used free of charge in the refrigerator of the room. There is a restaurant where you can enjoy creative French cuisine. The chef of south terrace said, "I want to make the guests happy, surprised and moved by my dishes." Cuisine of South Terrace is created from this thought. Please take joy in the food to the last bite in the beautiful environment blessed with nature. 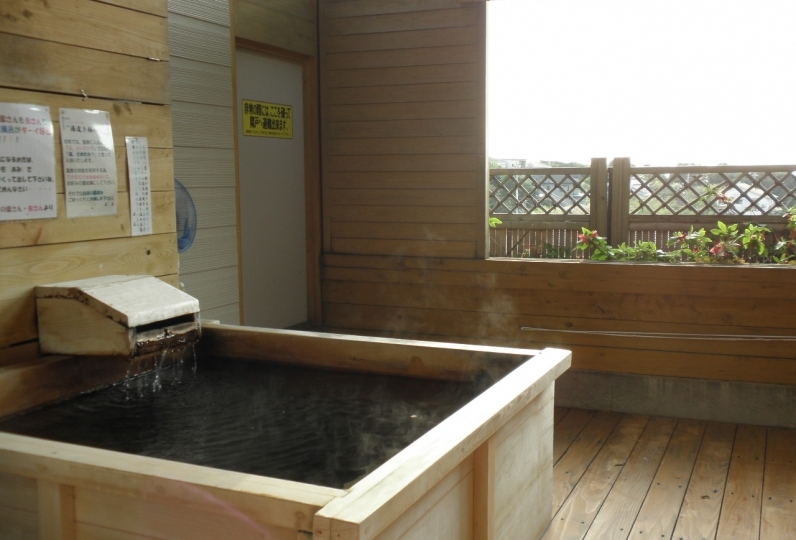 It is regarded as one of Japan's three oldest hot springs. The famous Shirahama Onsen is even noted in Manyoshu book (oldest existing collection of Japanese poetry). The hot spring sources from Shirahama. Enjoying refreshing sea breeze may make you think about ancient history. Neuralgia, Muscle pain, Joint pain, Frozen shoulder, Motion paralysis, Sprains, Chronic gastrointestinal disease, Hemorrhoids, Sensitiveness to coldness, Recovery from illness, Soothing effect, Health enhancement, Cut, Burn injury , Chronic skin diseases, Weak body and chronic women's disease. 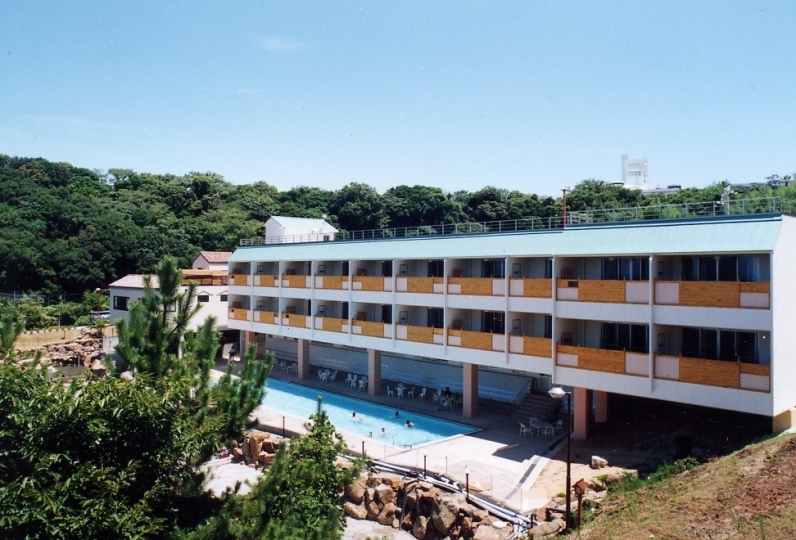 There are tourist facilities around Nanki Shirahama in the surrounding area. Speaking of summer in Kansai, this is the place to go. It is approximately 10 minutes by car from Shirahama station. There is a free shuttle bus from Shirahama station to accommodation in the neighborhood. 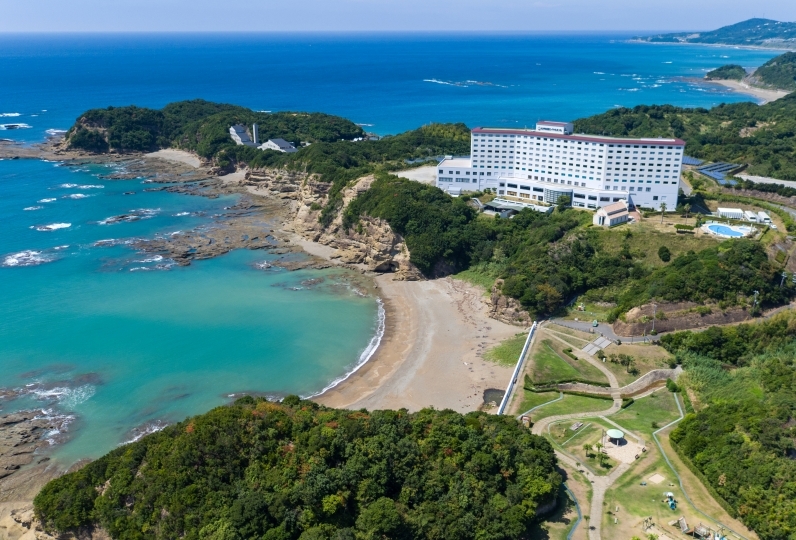 For details, please refer to the website of Shirahama Onsen Ryokan Cooperative Association.